(WEBPUBLICAPRESS) UNITED NATIONS New York – While putting Israel’s security on a first place without any doubt, Western countries also criticized Israel for continued activities that undermine the achievements of the Oslo agreement of 25 years ago and prospects of two-state solution – Palestine and Israel living side by side in peaceful coexistence. 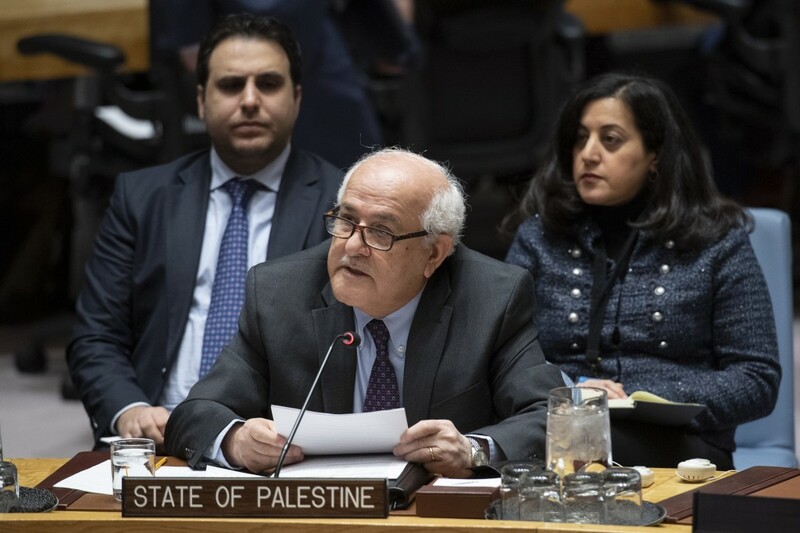 Addressing situation in the Middle East at a special session at the UN Security Council US, UK, France, and Germany also condemned the rocket launches from Syria and Gaza into Israel. The security situation in Gaza remains grave and precarious, as diplomats at the UN in New York said. Reports say sporadic rocket attacks by militants continue and could easily lead to renewed confrontation. “We need to do everything we can to avoid another devastating war which would compound the already dire humanitarian and security conditions in Gaza and would threaten the security of Israeli border communities,” ambassador Karen Pierce of the United Kingdom told Security Council. She said the recent developments continue to undermine the achievements of the Oslo Accords and they jeopardize the prospects for a two-state solution and lasting peace. Following the violent attacks in the West Bank there have been a large number of incursions by Israeli security forces into Area A and Palestinian movement in the West Bank has been significantly restricted and disrupted. The United Kingdom is also “disappointed on 27 December – just days after the Council discussed the implementation of Resolution 2324 – Israel advanced plans for the construction of nearly 2,800 illegal settlement housing units,” Pierce said. The Israeli government on 26 December outlined plans to construct a new settlement, Givat Eitam, close to Bethlehem. 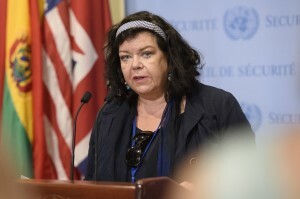 And that “represent a further threat to the territorial integrity of the future Palestinian state,” UK ambassador said at the UN, adding that her country closely follows the developments in East Jerusalem. “The eviction notice served to the Sabah family in Sheikh Jarrah on 3 January places 45 people at risk of losing their home. The UK like to encourage the Israeli government not to enforce this eviction, as we continue to urge them not to demolish the Bedouin community of Khan al-Ahmar,” Pierce said. The UK also criticized the illegal activities by Hezbollah in Lebanon and the region, since they threaten regional stability. “We condemn Hezbollah’s aggressive activities and we are clear that we should not allow them to go unchecked,” ambassador Pierce said. The United Kingdom is committed to the “internationally agreed parameters” for a durable peace in the Middle East. 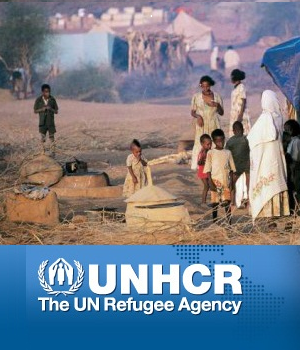 And it is critical negotiations are resumed towards an agreement leading to a safe and secure Israel living alongside a viable and sovereign Palestinian state, based on 1967 borders with, Jerusalem as the shared capital of both states and “realistic” settlement for refugees. 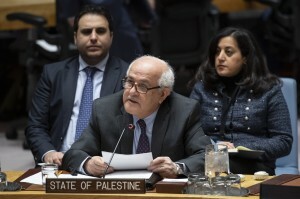 But, talking to the Security Council permanent representative of a Palestinian state to the UN in an observer status Mansour Riyad warned the time is passing without solution and the suffering of the people become unbearable. “Human misery and want are also intensifying, with the poverty and aid dependence borne of this injustice mounting daily,” he said. “But there is nothing normal about the calculated infliction of such human deprivation and indignity,” he said.